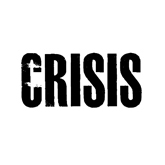 Crisis is back with a bang at Rock City! Nottingham’s biggest and best student night, ‘Crisis’ and Rock City is back, and this time there’s an even more engaging way for students to interact live with the event. The 2,500 capacity venue holds Crisis on a weekly basis, and once again has gone down a treat with the student audience. EventBeat now provide the Twitter Wall for the event as a permanent fixture, and so far there has been huge levels of hilarious interaction live at Crisis! Twitter is undoubtedly one of the most popular social networks for the student demographic; especially when it comes to socialising and general nightlife. As people are enjoying themselves and taking pictures of their friends dancing, embracing a fellow student or simply larking around (usually after several drinks) Crisis then broadcast these pictures and comments up the huge projection units above the crowded dance floor. This has massively boosted Crisis’s online presence and general popularity with this modern, vibrant audience.